Police gather evidence outside of a house in Strathroy, Ont., on Thursday. Terrorism suspect Aaron Driver was killed in a confrontation with police in the town the day before. Before he was killed Wednesday in a police operation, Aaron Driver, the son of a Canadian Forces corporal, was well-known to authorities as a staunch Islamic State supporter. Court documents and previous reports shed some light on the 24-year-old man who RCMP say was at the centre of a foiled terrorism plot. Police say a terrorist sympathizer killed in a high-stakes standoff in southwestern Ontario last week died from a gunshot wound. Canadian authorities received a tip from the U.S. Federal Bureau of Investigation, including a “martyrdom video” of a man in a black balaclava that they identified as Mr. Driver. The video included a warning that he planned to detonate a homemade explosive device in an urban centre during morning or afternoon rush hour. There was no indication of where exactly he intended to travel. Police intercepted Mr. Driver as he was boarding a taxi bound for a shopping mall in London, Ont. The RCMP said there was a “detonation” in the back of the taxi from a device he had with him. Toronto transit agencies were warned of a security threat before authorities confronted Mr. Driver. Mr. Driver had been arrested in June of 2015 because of his online activities. Even though he had been in contact with British IS jihadis and a gunman who was later killed during a terror attack in Garland, Tex., there was not enough evidence to warrant criminal charges. Published reports from when he was first arrested in June, 2015, suggest Mr. Driver posted messages on social media that praised terrorist activities including the attack on Parliament Hill in October, 2014, by Michael Zehaf-Bibeau. Those messages were enough to catch the attention of authorities, who flagged Mr. Driver as a potential security threat, according to court documents. Mr. Driver went by the online alias Harun Abdurahman and had a network of friends and followers who consisted mainly of British Muslims fighting for the Islamic State on the ground or online, the Toronto Star reported. He told CBC's Caroline Barghout in 2015 that he identified as a Muslim and said Muslims did not belong in the West. A federal source told The Globe and Mail on Wednesday night that Mr. Driver intended to do something and had the capabilities to carry it out when he was killed. 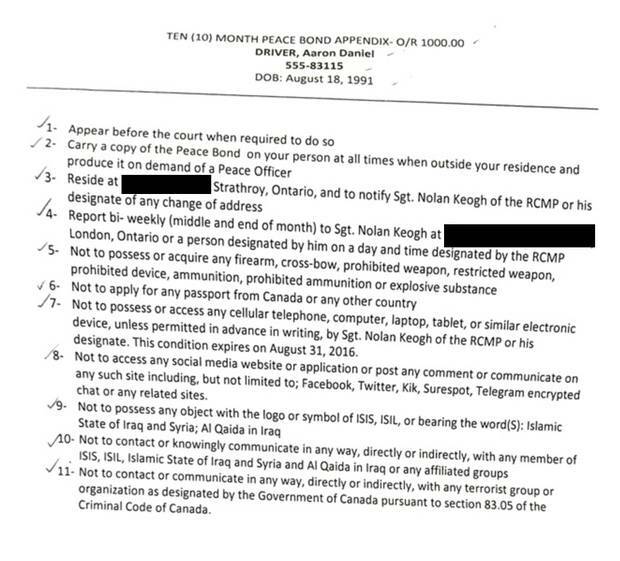 After Mr. Driver's arrest in June, 2015, Mounties applied for a peace bond that could impose limits on his activities, alleging in provincial court documents that investigators believed he might help terrorist groups. When Mr. Driver was released later that month, he was ordered to comply with several conditions. These included wearing a GPS tracking device, not using the Internet or having any communication with Islamic State, including not having any object on his person that bore an Islamic State logo. The restrictions drew criticism from civil liberties activists in Manitoba. 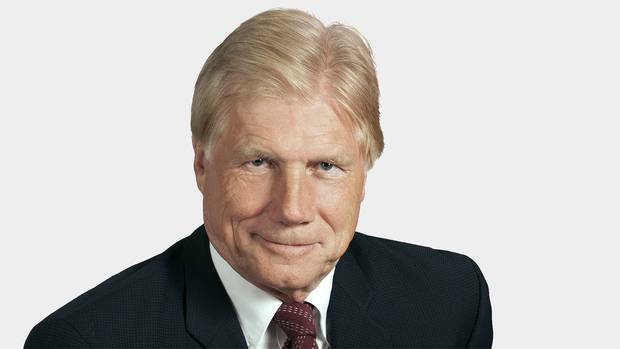 Mr. Driver's lawyer, Leonard Tailleur, argued in a November, 2015, court appearance that his client was not a threat and was only voicing his political opinions. He said the peace bond conditions being sought by the government were both too extreme and unconstitutional. Mr. Tailleur also argued they were affecting Mr. Driver's ability to get a job. Later, the Crown announced some of Mr. Driver's bail conditions had been lifted and he would not be going to trial. His case was settled under a peace bond. The agreement included an acknowledgment that there were grounds to fear Mr. Driver might help a terrorist group. However, he was allowed to remove his monitoring bracelet and was no longer required to attend religious counselling. He continued to be prohibited from using a computer or cellphone – rules that were to be in place until the end of August. Mr. Driver's family worked in the military and they frequently moved around, living in Edmonton and London, Ont. Mr. Driver's support of Islamic State was upsetting for a family with close ties to the Canadian Forces. "I still can't understand how your kid could do something like that, especially when you did your best like any parent to raise him," his father Wayne Driver, an Air Force corporal at CFB Cold Lake, told the Calgary Herald in 2015. 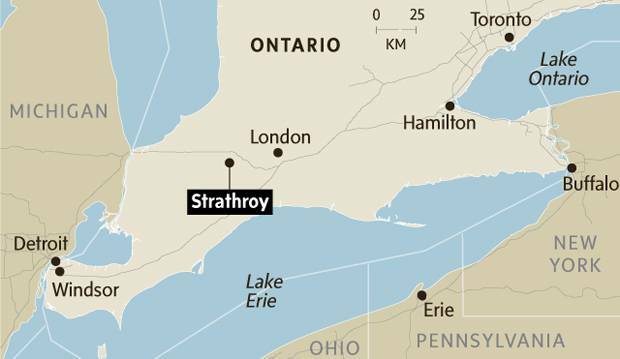 Before he was killed, Mr. Driver was living at his sister's residence in Strathroy as a condition of his peace bond. Neighbours said Mr. Driver worked at Meridian Lightweight Technologies Inc., a company that manufactures automotive parts and is a large employer in the community. 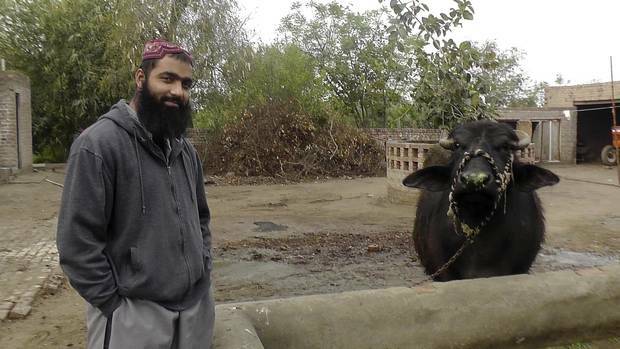 His lawyer described him as a "loner" and "passive"
Mr. Driver's former lawyer, who represented him in 2015 and early 2016, told The Globe and Mail on Wednesday that his client never gave any indication that he would carry out any terrorist activities. "He was such a passive individual. He was not an aggressive person," he said. "I had a couple assessments done of him, which I gave to the federal Department of Justice. "Those assessments indicated there was no sociopathology, no psychiatric illnesses, any of those types of things. But there was this overriding religious conviction, which, I guess at the end of the day, was the compelling factor in his alleged latest decision to do what he did here." Correction: A previous version of this article referred to Aaron Driver as Adam Driver. The Globe regrets the error. Lawrence Martin: Why the Liberals aren’t amending antiterrorism law Despite election promises, the Trudeau government’s moves on amending Bill C-51 amount to a bit of tinkering. The difficulty of due process in the age of counterterrorism Colin Freeze and Sahar Fatima report on how counterterrorism in Canada is changing.